U Dig delivers saving you costly down time, while you're working we can be bringing you your mini digger. NEED A MINI digger, FAST? self drive or operator provided. digging or drilling. LOOKING FOR A MINI DIGGER RENTAL COMPANY THAT’S REPUTABLE AND AFFORDABLE? AT UDIG WE MAKE MINI DIGGER RENTAL SIMPLE, COST-EFFECTIVE AND CONVENIENT.  U Dig is where you turn for all your mini digger needs; we are a locally owned and operated mini digger hire company. 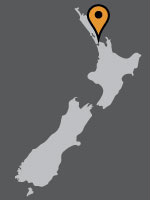 We are North Shore based ,but service the wider Auckland area also .We deliver to Rodney, North Shore, West Auckland, Whangaparaoa, Silverdale, Albany, Coatesville, Riverhead, Kumeu, Kaukapakapa, Wainui, Orewa, Puhoi, Hobsonville, East Coast Bays, Glenfield. If your not sure if we service your area don’t hesitate to contact us. Because U Dig delivers we save you costly down time, while your working we can be bringing you your mini digger. We provide high quality, late model, reliable diggers. If you know you are going to have issues with access or when you find that bigger diggers cant get to where you want. Simply give U Dig a call our diggers are designed to go where most diggers cant. Our diggers have retractable tracks which reduce down to 980mm wide for greater access to those tight spaces. Competitive pricing on all digger rentals, coupled with high quality service help to get the job done. No hidden surcharges of any kind! We offer anywhere from 1 day to 5 days standard rental periods. Service available 7 days a week​.